A new book in a beloved series is like a reunion with old friends. If there are no big surprises, who cares? It’s the little surprises that make it delightful. In his latest Elvis Cole/Joe Pike novel, The Wanted, Elvis’s new client is Devon Cole, an ordinary single mother who’s deeply worried about her teenaged son Tyson. Tyson was always shy and awkward, so she was happy when he made friends in his new school. But now he’s started to wear clothing he can’t afford, and he’s sporting a Rolex wristwatch she’s pretty sure is the real McCoy. She also found a large amount of cash in his room. Making the usual inquiries, Elvis is surprised to get pulled up short by the police. They’re seeking a gang of burglars who are hitting upscale homes, and they want to know what Elvis knows. But neither Elvis nor the police realize that young Tyson is already the most wanted person in LA – wanted by a couple of ruthless, psychopathic hit men who will not hesitate to torture and kill anyone they think possesses information that will lead them to the thieves. The whole thing could be sensibly handled through cooperating with the police, but Elvis soon learns that Tyson – and his loopy, thrill-seeking new girlfriend – have no interest in being sensible. Elvis will need all his own skills, plus the deadly skills of his taciturn, dangerous partner Joe Pike – to get the kids out of this mess alive. The plot of The Wanted is pretty much what you’d expect, but that’s beside the point. 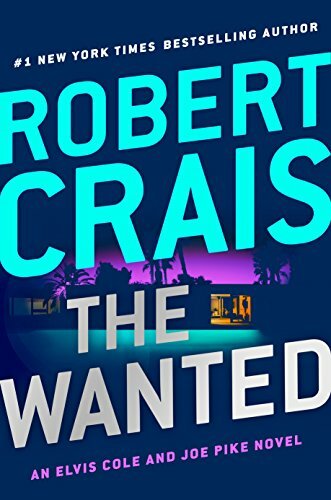 As with every Robert Crais novel, the pleasure here is the small surprises, hidden within the living, many-faceted characters. Nobody here is made of cardboard – even the two stone killers have intriguing interior lives. I highly recommend The Wanted. Cautions for language, violence, and adult situations.